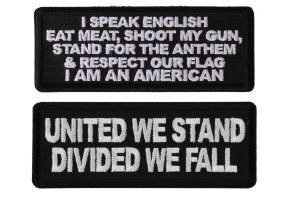 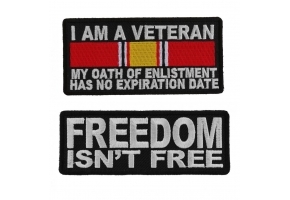 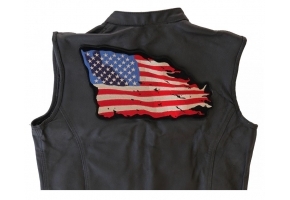 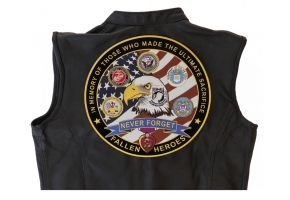 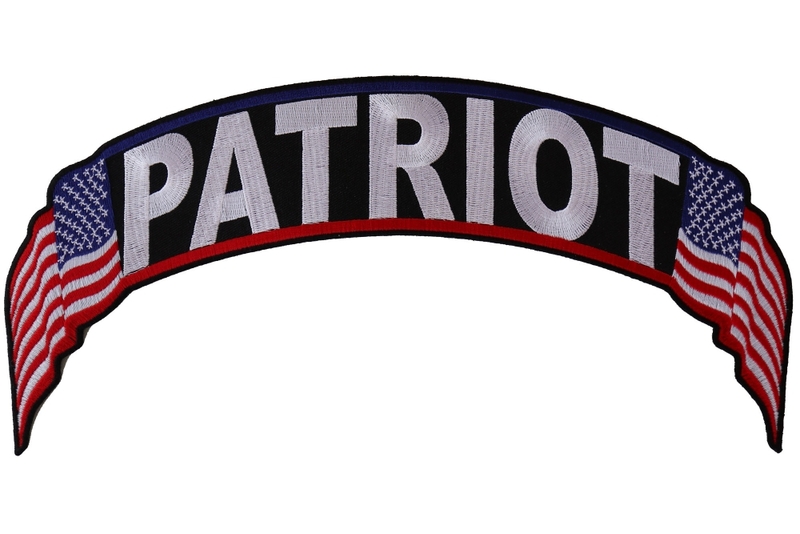 Patriot US Flag Rocker Patch measures 12x2.5 inches and is Embroidered in Black / White / Red / Blue. 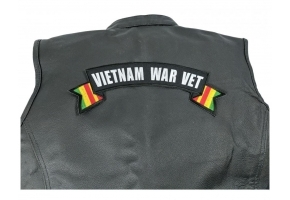 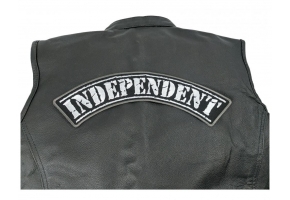 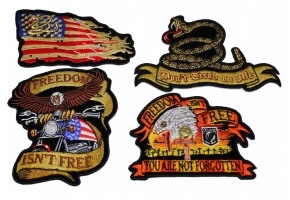 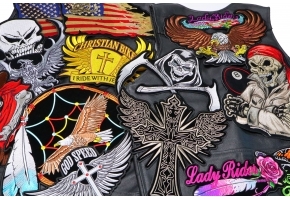 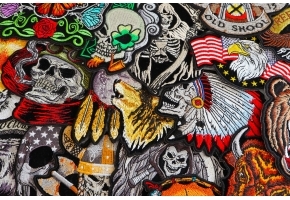 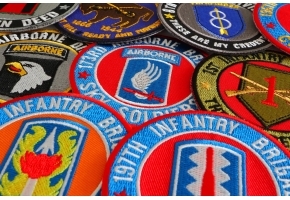 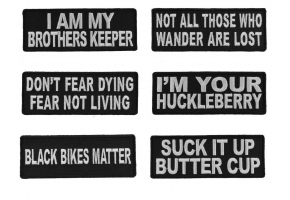 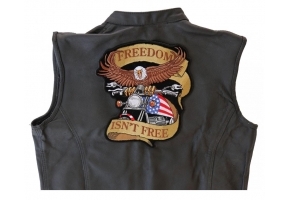 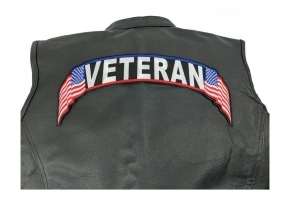 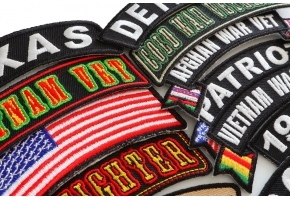 The Large Patch can be sewn on or ironed on to clothing such as Denim or Leather Jackets, Vests, Hats, Back Packs, Shirts. 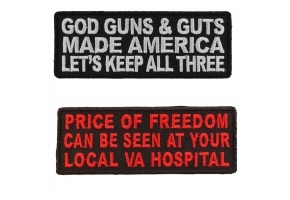 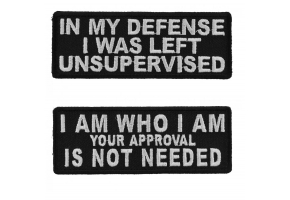 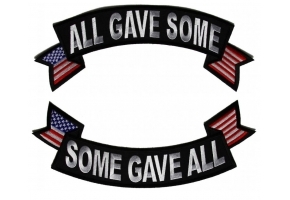 Features plastic backing and embroidered die cut borders.